Home › Ontario › Toronto › Colleges Near Me in Toronto › Centre for Security Training and Management Inc.
About Centre for Security Training and Management Inc. The Centre for Security Training and Management Inc is registered as a Private Career College under the Private Career Colleges Act 2005 and licensed by the Ontario Ministry of Community Safety and Correctional Services as an approved security training entity. CSTMI offers several unique courses that educate and train security guards and private investigators with instructors that are subject matter experts. 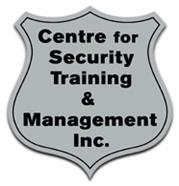 Give to Centre for Security Training and Management Inc.
You will receive updates from Centre for Security Training and Management Inc.